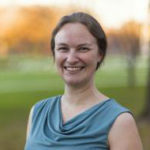 Jessica Goldberg is an Assistant Professor of Economics at the University of Maryland,an Affiliate of the Abdul Latif Jameel Poverty Action Lab, and a Non Resident Fellow at the Center for Global Development. Her research interests are in development and labor economics. Currently, she is working on field experiments about credit and savings in Malawi and Rwanda, the effect of social pressure on consumption and savings in Malawi and Uganda, and the role of social networks in outreach to treat communicable disease in India.